Writing children books? STOP wasting your time and read this first! 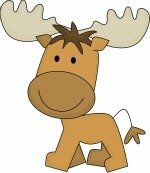 Thinking about Writing Children Books? If writing children books is your dream, please don't skip this writing books for children course review. Every year, our writing contests get submissions from all over the world from aspiring children's writers. Many times the stories are print ready, meaning they should really be published right away into a children's book, either by a publishing house or self-published. But more often than not, the story lines are fantastic however, you can tell the author hasn't done much research into writing children books or they haven't edited their work, or they haven't included the Three Acts. I wanted to help our writer's improve their skills so more stories would have a better chance of winning our contests but I wasn't sure how. I was helping an author friend of mine hone his writing so we could self-publish his stories when I came across the Children's Writing Super System written by Christopher Maselli. Being the intense researcher that I am, I began digging for information about the author of the system and let me tell you, Christopher Maselli is the real deal. He makes a living as an award winning, full-time children's writer with more than 50 books published. In addition, he contributes to Focus on the Family's Clubhouse Magazine, while also regularly speaking at writing conferences. 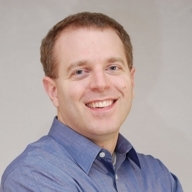 He has also been a judge for huge writing contests such as Writer's Digest - so he knows what a winning submission should look like! I was pretty impressed with his credentials and experience and thought I should see for myself what his Children's Writing Super System was all about. I downloaded it and began to devour the workbook as well as more than 7 hours of audio! I was so impressed with the completeness of his Children's Writing Super System that I had to share it with you, our visitors, who dream about becoming children's writers. Finally, I have found a way to help children's writers who contribute to our site, realize their dreams of writing children books and being published! Children's writing markets are in need of quality children's writers who are writing children books - you have what it takes to get your stories to the top of the publishers desk if you'll simply take the time to learn a few of the basics. One thing I really like about Christopher's system is how interactive it is. It's not just a book that tells you what to do. It's like being at a writer's conference but in the convenience of your own home - just one on one. There's over 7 hours of audio in 9 sessions that go along with the hefty workbook which allows you to practice what you're learning as you go through the Challenge Yourself and Take it to the Next Level questions and worksheets. - Writing Proposals that will Get an Editor's Attention, it's all in there and it's good, I'm not kidding! It's so good that one editor uses an award-winning Proposal Format included in this System to teach others how to write proposals at writing conferences and another retired editor uses it for submitting her own proposals! When I came across the Children's Writing Super System, I was contemplating attending a four day children's writers conference in my area - the cost for the four day conference was almost $300, but after going through Christopher's Children's Writing Super System - that currently costs only $47 - I no longer needed to go! I know this system will help you improve your writing and get published - or get your writing ready to self-publish. I am very happy to recommend it. 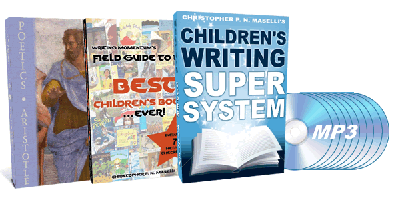 *** Christopher is getting ready to release a "Super, Super Children's Writing System" soon, so I don't know how much longer his Children's Writing Super System will be available at the price of $47 - you may want to check it out now. See our interview with Christopher here.